West Coast has wall heater repair Los Angeles and water heater repair experts that service Los Angeles CA and the San Fernando Valley for 24 hours a day. Call West Coast Services if you need a reliable water heater or wall heater repair Los Angeles company. West Coast is happy to offer 24 Hour Wall heater repair Los Angeles services especially during the winter times when it is cold. Our service technicians are all licensed and insured. When living in Los Angeles CA and having gone through cold winters you now having no heat can be a time of distress. Imagine having a business and your heat or water heater not working properly. This is when you should callus here at West Coast Services if you need an Emergency Heater Repair Service you can rely on that has the correct technicians for the job. You know our techs try to arrive on time and keep the vans fully stocked and prepared ready to assist you with your wall heater repair Los Angeles issues. When you call West Coast services after hours our phone lines are set up to let us know. This manner allows you to speak to a professional who can aide you with your heater issues. Our men at West Coast are trained to handle complex heater issues and common problems that just need light work. Get your services done at an affordable rate and and make sure a professional is handling your issues. Give us a call today when you need a high quality licensed company. We also work with your water heater repair issues and can help with air conditioning and plumbing fixtures. Ask about our senior discounts today. Do I need to get my wall heater inspected? As with any appliance issues wall heaters are no different. They eventually break down and have problems that need to be addressed. Wall Heaters are no different they need to be looked and to make sure carbon monoxide is not coming from them During the cold months many begin to call local Wall Heater Repair techs to inspect their wall heaters to be cleaned or possible repaired. When you need work done on your water heaters or wall heaters or central systems it is important you work with a company whose skills and experience are what you need. So when you are on line looking up companies, West Coast can be your one stop source for your heater repair needs. Our emergency techs can help for after hour services and assist with your furnaces, heat pumps, and zone control systems. Our techs can also do any form of trouble shooting with indoor air control and thermostats. Why Choose Us for Wall Heater Repair Los Angeles Service? According to recent statistical records, around 35 million homes in United States have central heating systems. These systems draw up air from the rooms via vents that are located on the floor and wall into the duct work. Then the air is forced to go through filters, which are either cooled/heated or humified/dehumified. Then the air is blown back into the ducts, which circulate cooled or heated air throughout the house. As you can see, the ducts play a major role behind the functionality of your home. Therefore, you will need to pay special attention towards regular duct cleaning. In addition, you need to make sure that the ducts are strategically placed, so that you can control the temperature of your house in an efficient manner. What are the common issues that can arise in your gas furnace? Along with time, you will get many different issues in the gas furnaces. It is better to have a clear understanding about those issues, which can take place along with time. Then you will be able to act accordingly and seek professional assistance. In the gas furnaces as well as in heaters, you will be able to find shutoff valves. These shutoff valves are in a position to turn off the supply of gas during a leak. Therefore, you will be able to provide extra protection to your home. In case if you can smell gas in your house, you shouldn’t try to shut off the supply manually. Instead, you should immediately open the windows and leave the house. Then you can call the gas company and let them do the job. You can only enter the house after they complete the job. You will come across a frustrating situation when the pilot light doesn’t go ahead and ignite your gas furnace. Thermocouple is one of the key components found in the electronic pilot ignition. In fact, this is the copper rod, which hits the flame. This can be considered as a safety device, which has got the ability to shut off the supply of gas, in case the flame goes out. As a result, you will be able to stay away from major accidents that can take place. This thermocouple can also give life to a variety of issues. Thermocouple malfunctions hold a prominent place out of them. This happens when the thermocouple shuts off the valve, even if there is no issue with pilot light. Therefore, you will not be able to operate the value manually. The buildup of soot can also be considered as another major issue linked with the thermocouple. Then the thermocouple will block flame and you will be led towards hassle. Moreover, there is a possibility for pilot to not cover up the top part of the thermocouple as well. Should you contact a qualified technician to get your repairs done? When you come across any such issues with your gas furnace, it is extremely important to seek the assistance of a qualified technician. Then you will be provided with much needed assistance to overcome the hassle and frustration that you are going through. You must also keep in mind that the gas furnace systems are complicated than you think. Therefore, only a qualified and an experienced technician will be able to help you with the repair. They have a clear understanding on how to fix all sorts of issues that can arise, including malfunctioning of the systems, power outages and problems with the filters. They come fully prepared and fully equipped to your home in order to provide you with a quality and a hassle free service. Should you upgrade the existing gas furnace to a high efficient one? A skilled and an experienced HVAC technician will not just be able to help you with the replacement of filters. 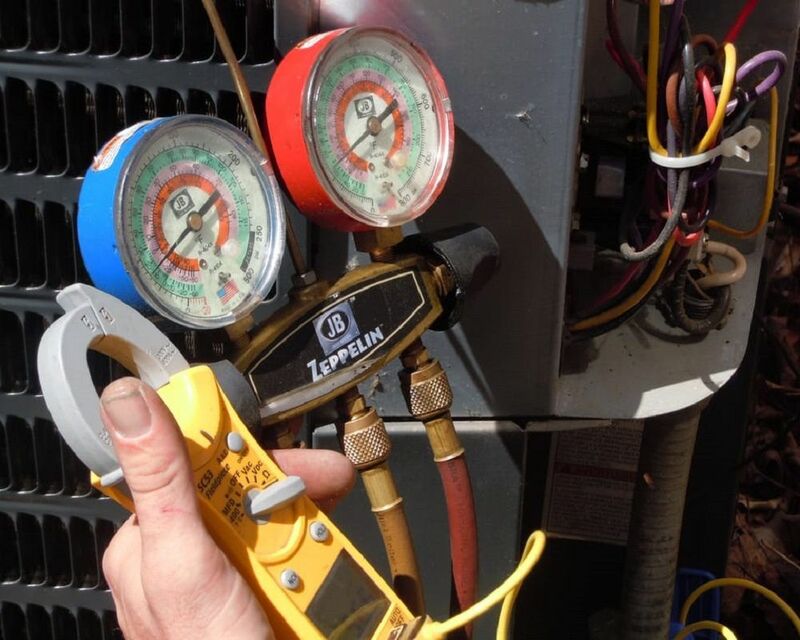 They are in a position to lubricate the moving parts, maintain the ideal air flow pressure, check wiring and make sure that your HVAC system is functioning in its best condition. Therefore, it is important for you to get the assistance of such a service provider on a regular basis. It will provide you with the opportunity to get your house ready for the winter as well. That’s where we can help you with. Go ahead and contact us for more information.